Enjoy Santorini’s stunning views at Sunset in your own Private helicopter, experience intimate aerial views as you are whisked over exclusive Oia, eclectic Imerovigli and romantic Fira town. 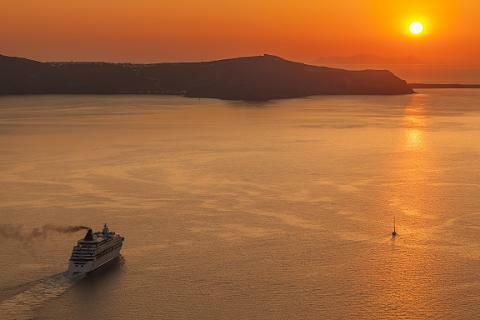 Marvel at the historic Volcanic Islands of Santorini and jaw-dropping sights of caldera cliffs and Firostefani, blue domed churches and white-washed houses. Soar over the island’s top luxurious resorts and infinity pools as you fly above the air. This unique adventure is guaranteed to last a lifetime and is perfect for special occasions. 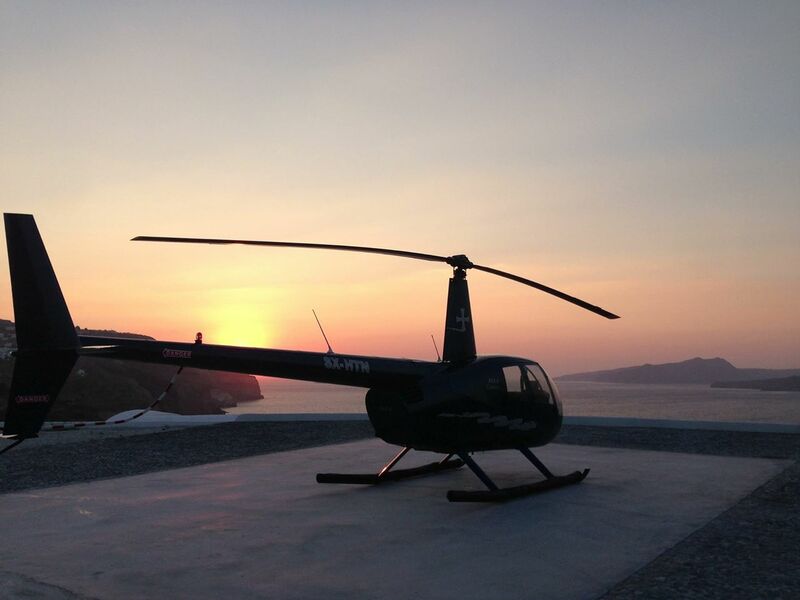 This package includes the helicopter tour (approximately 20 minutes), complimentary Champagne Toast and roundtrip transfers from all hotels/apartments across Santorini. If you are looking for the ultimate proposal idea, an anniversary gift or a unique adventure, do not look any further! Exhilarating flight over Santorini dressed with Sunset colors. 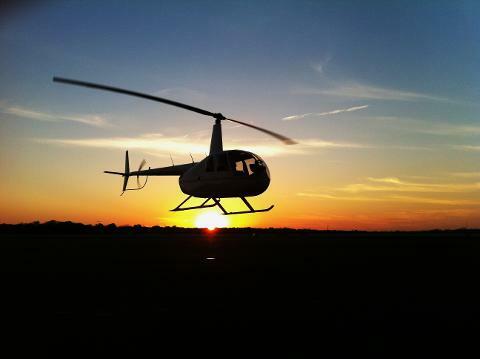 Experience exclusive aerial views of the Sunset, considered as top throughout Greece. Spoil your partner with the perfect surprise, guaranteed to last for a lifetime. 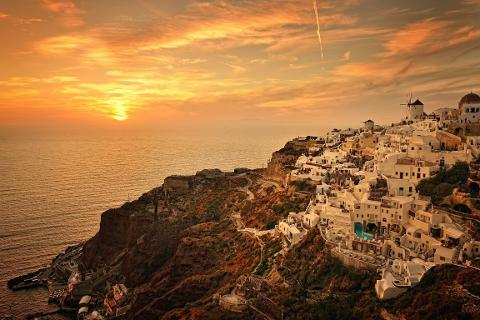 Capture Santorini's iconic towns such as Oia. Fira and Imerovigli. Marvel the incredible landscapes filled white washed houses and blue domed churches. Fly over Santorini's volcano, see the solidified lava craters from the air. 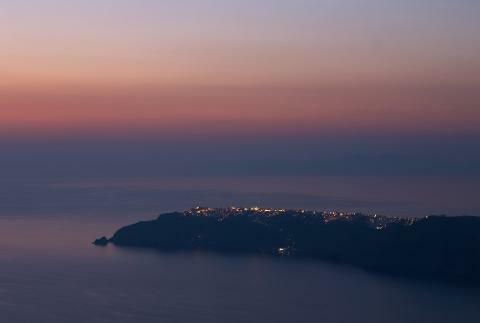 20-minute Helicopter flight above Santorini, during Sunset time. 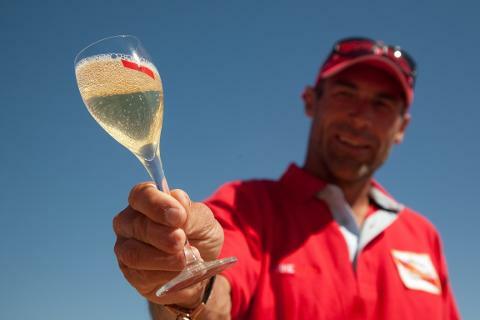 - This flight is a private flight and can accommodate a total of 5 passengers.